Buy DVD / Blu Ray >> DVD (Anime) >> Yu-Gi-Oh! >> - PowerAnime.com - A Slice of Japan & Everything Cool! PowerAnime is committed to the highest standard of authenticity and stands behind every product we sell in our shop as officially licensed merchandise. Strictly no bootlegs! The end of Power Anime. Thank you, and good bye! 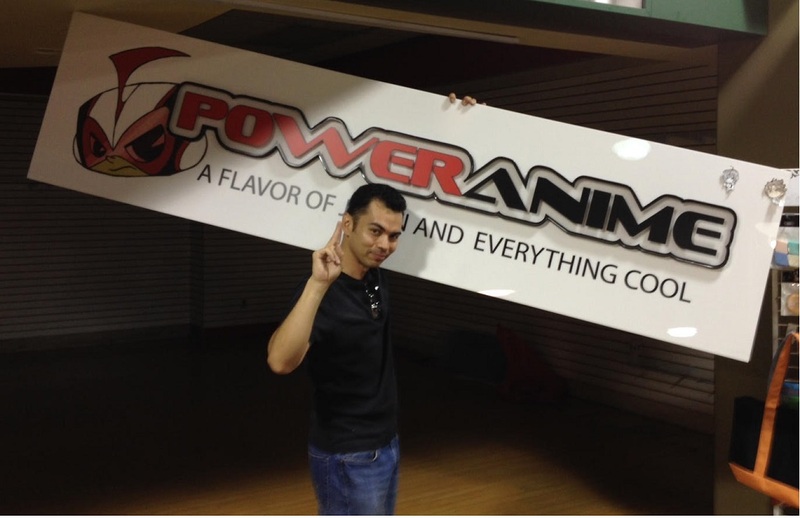 As of January 1st, 2016, Power Anime will no longer be in the business of merchandise retail as Reggie, owner and operator, has chosen to close the doors for good. This not only includes this website, but also any 3rd party marketplace venue including Amazon and eBay as well as any convention appearances as Power Anime. After 14 years pioneering ecommerce with this custom built website and personally representing my passion for anime and the Japanese culture through numerous physical store iterations and convention appearances, I can't thank all my supporters enough for helping me realize my childhood dream and make a living off of what I love. My website will no longer be used for new customers, but will still stay up for existing customers as the login will grant access to the members section. Products can no longer be purchased as I have deactivated the checkout process. For anyone who still has pre-orders with me, please log into the website and leave a comment at the bottom of the order details so we can may proper arrangements for fulfillment or a refund. Like any great anime, our store's finale was spectaclular! If felt good to jump back into the retail swing with customers once again, for the final time, strolled through my entire warehouse and found some amazing deals, lost treasures, and big smiles. I can't really put into words everything I feel, everything I remember, everything that molded me to this moment. It was my mission to bring the Japanese culture to the curious youth through the lens of anime as I had done and in doing so, I not only showed this gateway to thought to the childhood's of my customers, but PowerAnime itself became an icon of childhood as claimed by some of my most adoring fans. The adventures of Power Anime now live in its fans. Keep believing, and it will live forever! If there's any advice that I'd give after this experience, it'd be: Do what you love, or die trying! It's worth it! 'So.... where am I going,' you ask. Well, I've taken up a position with Bandai America Inc as a Brand Manager, Anime Import Collectibles. You can connect with me on my personal Facebook https://www.facebook.com/reggie.griffin.39, and my twitter https://twitter.com/BandaiReggie. Take care, and I'll see you soon at a convention in your area. Go to Bandai's booth, and ask for 'The Keep'. Oh, god! I lost my password!!! PowerAnime.com - A Flavor of Japan & Everything Cool ©2019 www.PowerAnime.com. All rights reserved.